"I want to stand as close to the edge as I can without going over because out on the edge I can see the things I can't see otherwise." Rainy season, fog all around, slippery rocks but some adventurous souls decided to take the risk. Not just of trekking up to Tungnath but to try our limits by standing on the edge and experience the thrill.The RISK involved made the moment adventurous and memorable. On our way back from Leh we crossed Bara-lacha-la pass. Driving at the elevation of almost 4,890mt...we reached Surajtal - the third highest lake in India, and the 21st-highest in the world. The lake was partially frozen. The white looked stunning against the deep blue sky. Couldn't stop appreciating the vivid and beautiful nature. The BRIGHTNESS of the moment is what made it memorable. 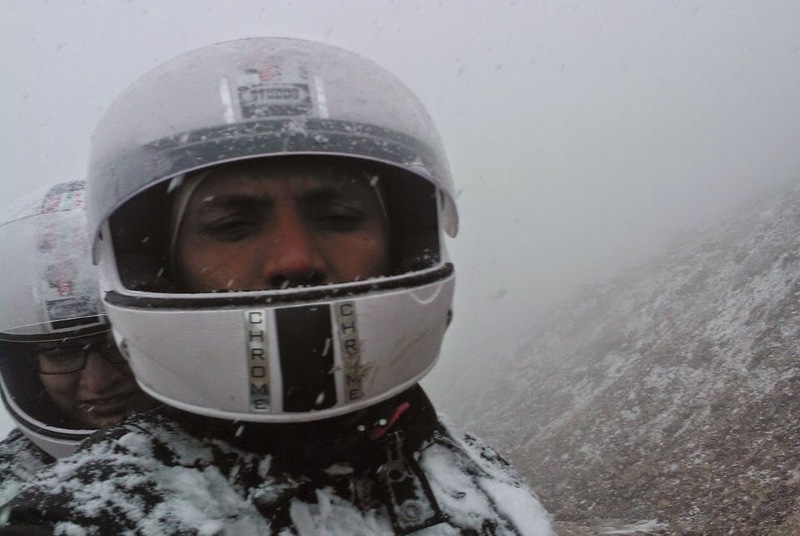 Going to Khardungla did not feel like a big accomplishment until we survived the snow storm while coming back. All of sudden weather changed from sunny on the way to Kardungla to light snow at Khardungla and the killer snow storm on our way back. Snow hitting direct on the face, zero visibility - due to the snowfall and snow filled glasses, numb body and no chance to stop as the road will get worse with snow. Driving a bike through this storm was an achievement. The CHALLENGE of the moment made it so accomplishing. Wildlife has always astound me. For one creature to survive the other has to die. Have seen many of such moments on Television but witnessing it in a jungle in real was an amazing. A mixed feeling it was... The gravity of the king made me forget everything. Sitting there in a small mud room of a remote village in high Himalayas and writing a post card was the feeling that can't be expressed in words. I was mesmerized by the beauty of Thiksay monastery when all of sudden a rainbow appered to add to the beauty. The moment will be etched in my memory forever.